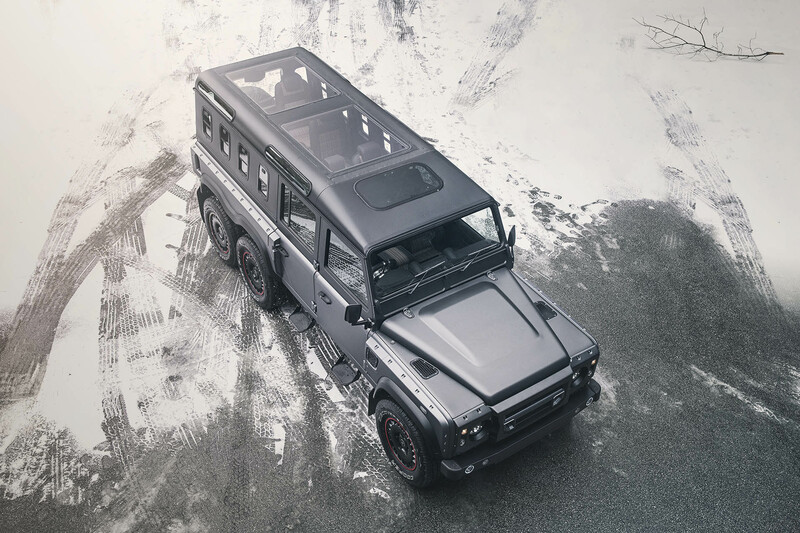 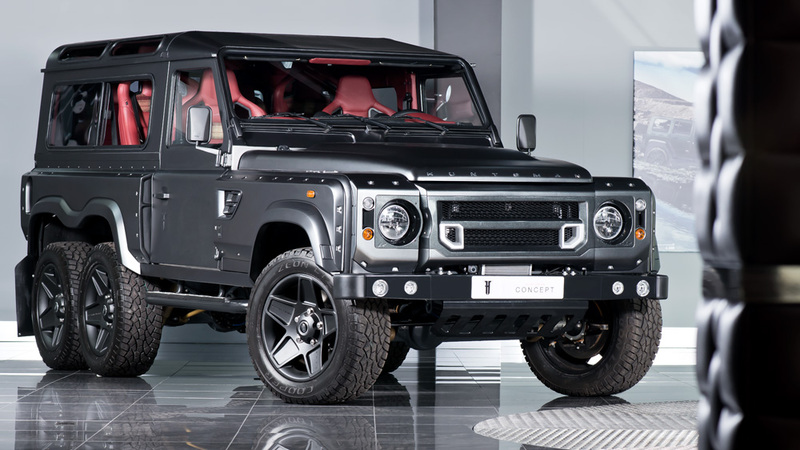 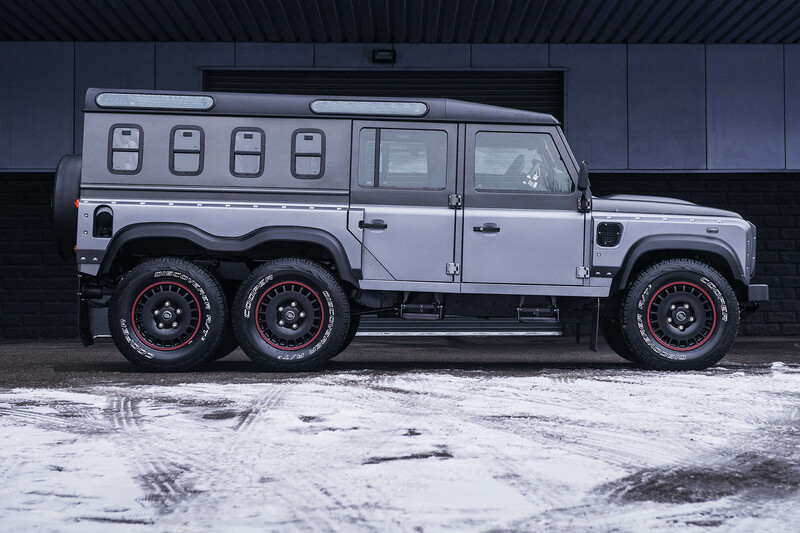 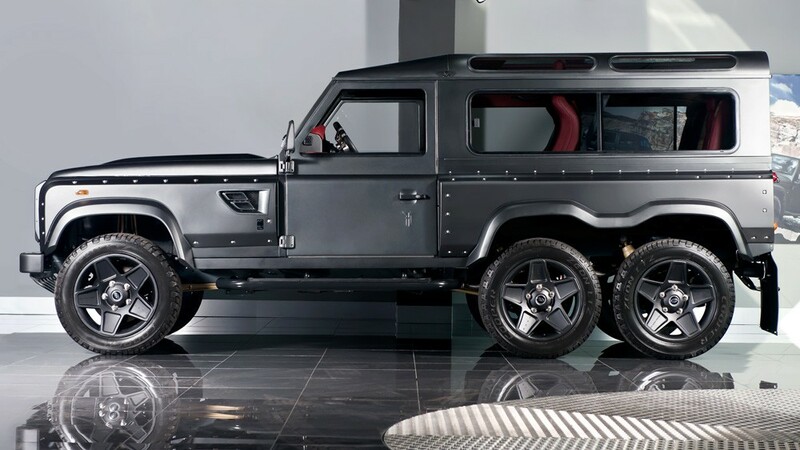 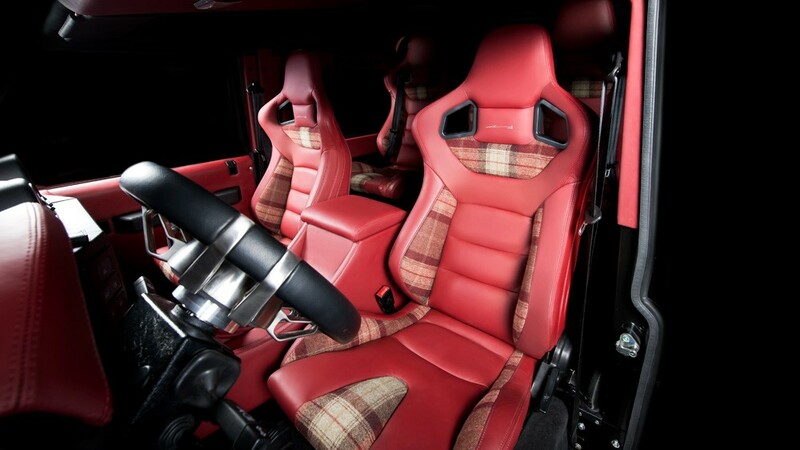 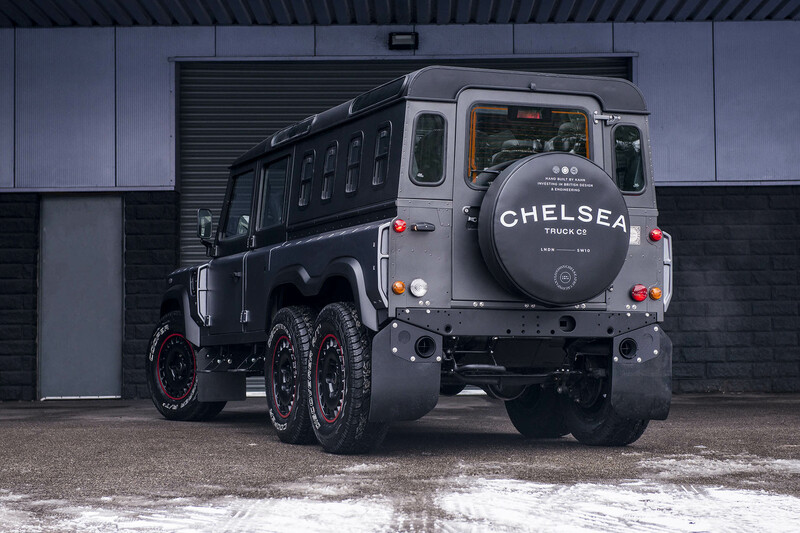 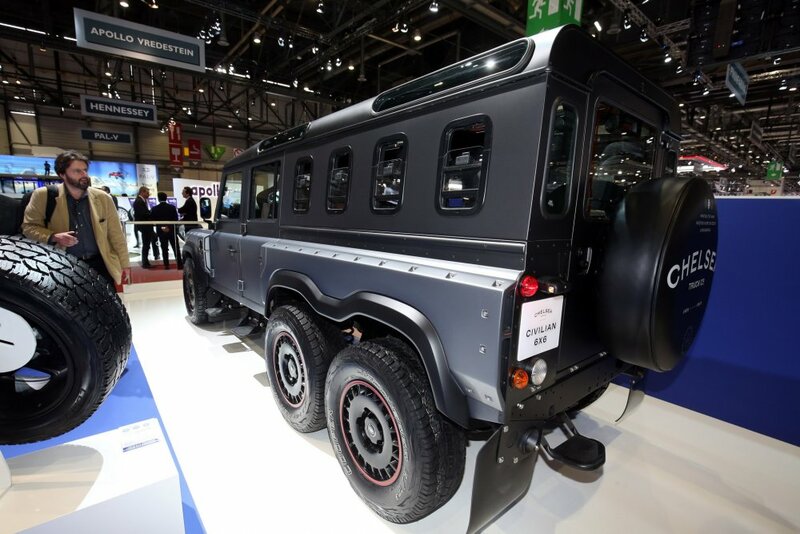 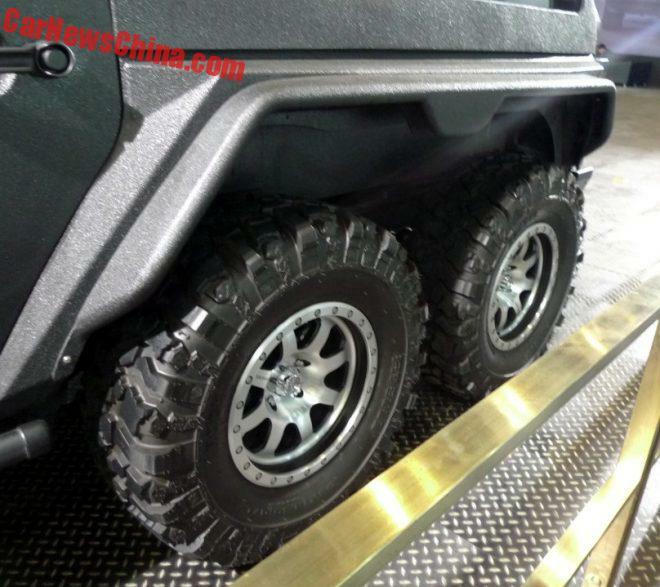 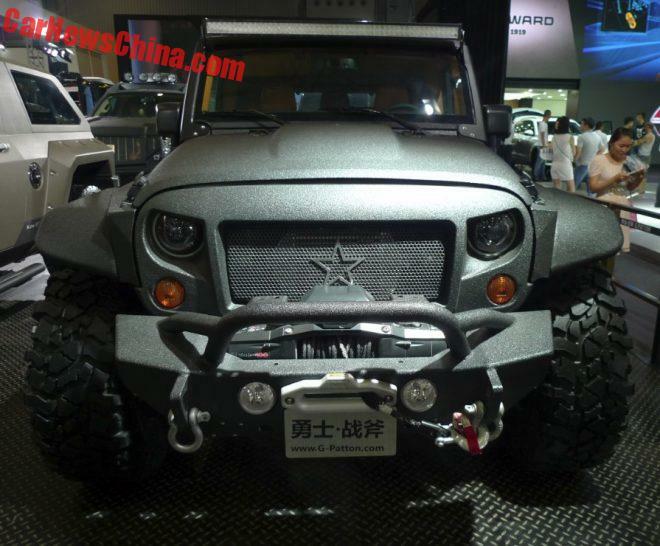 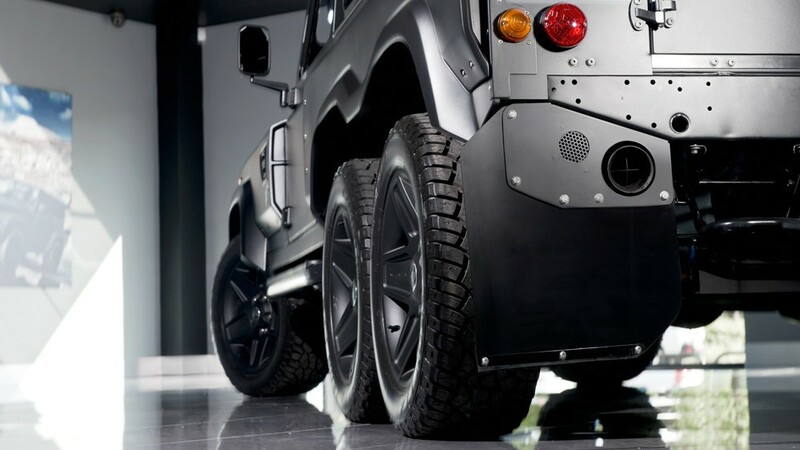 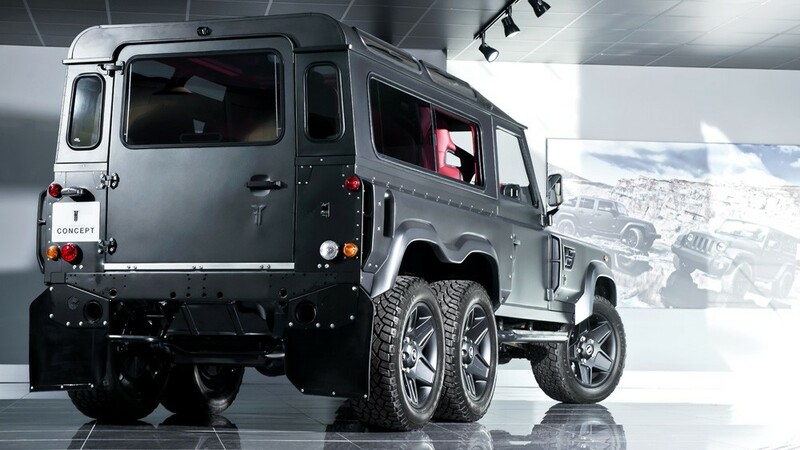 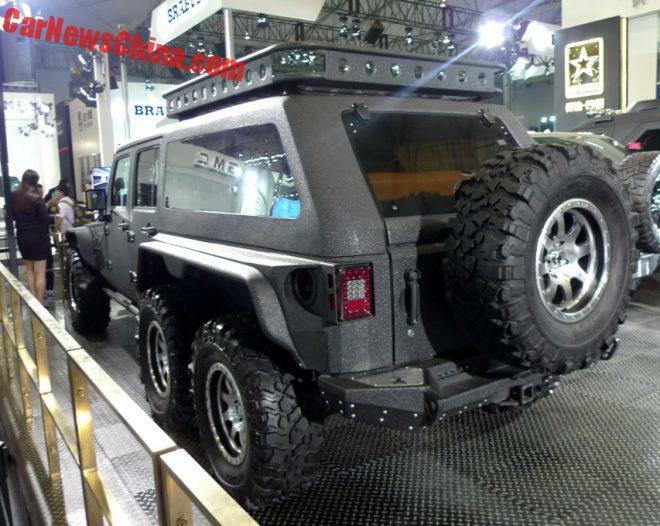 If the Mercedes AMG 6x6 wasnt enough check this out. 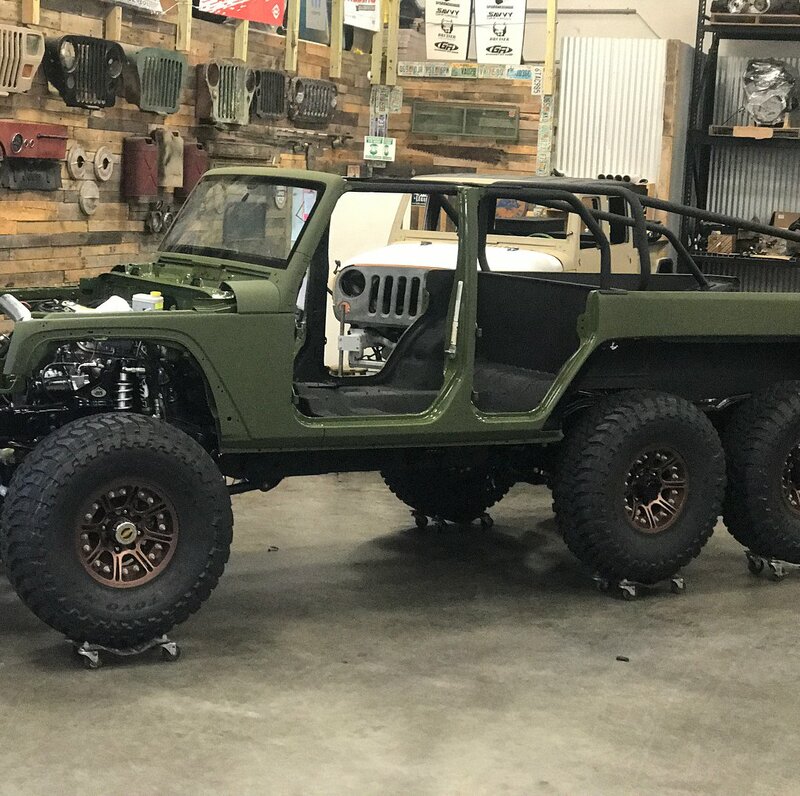 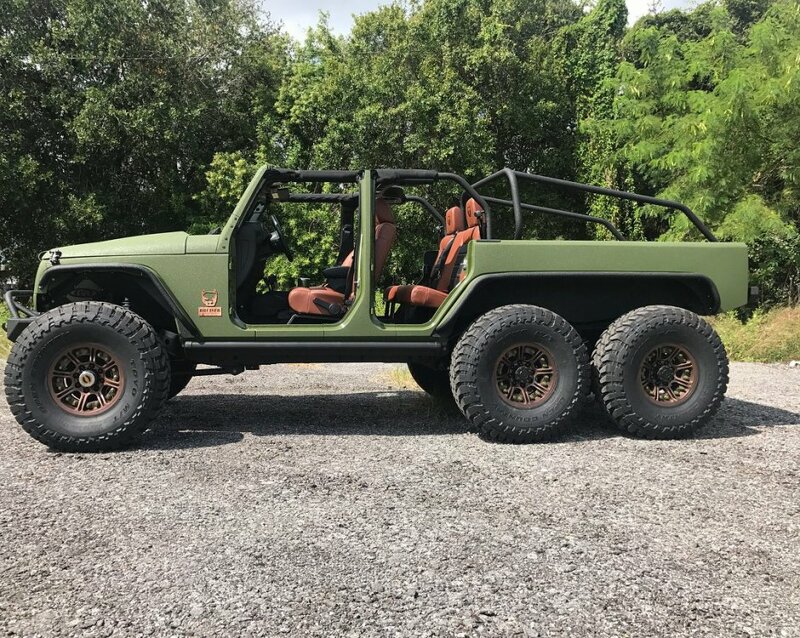 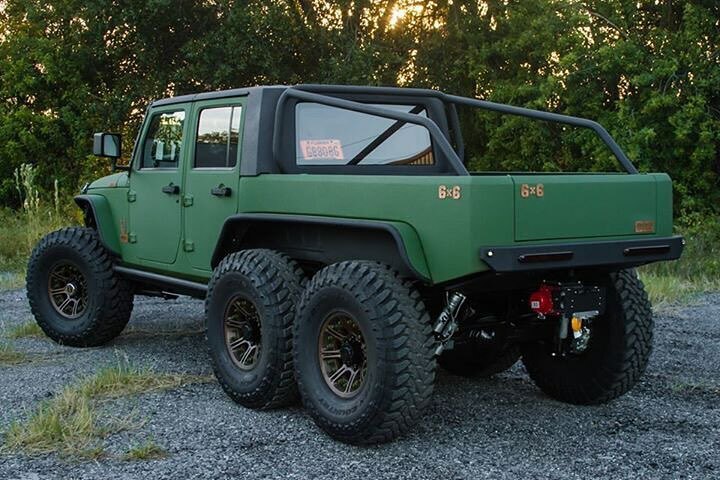 A 6x6 Jeep Wrangler. 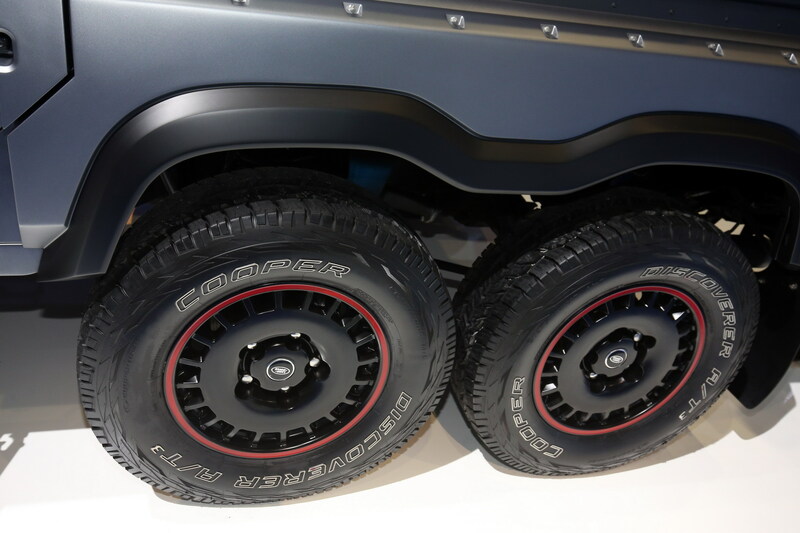 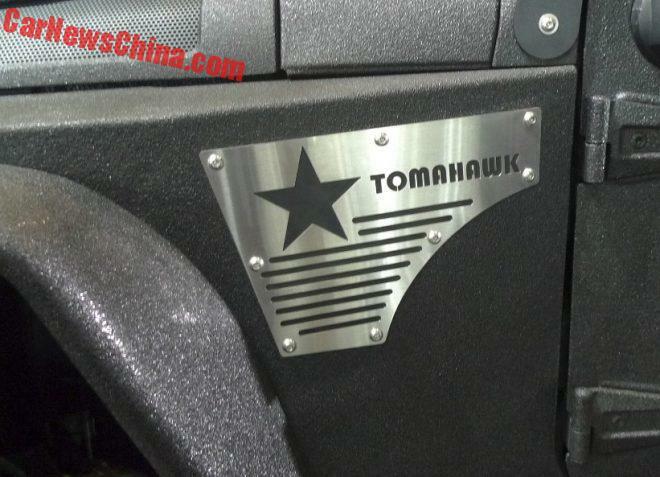 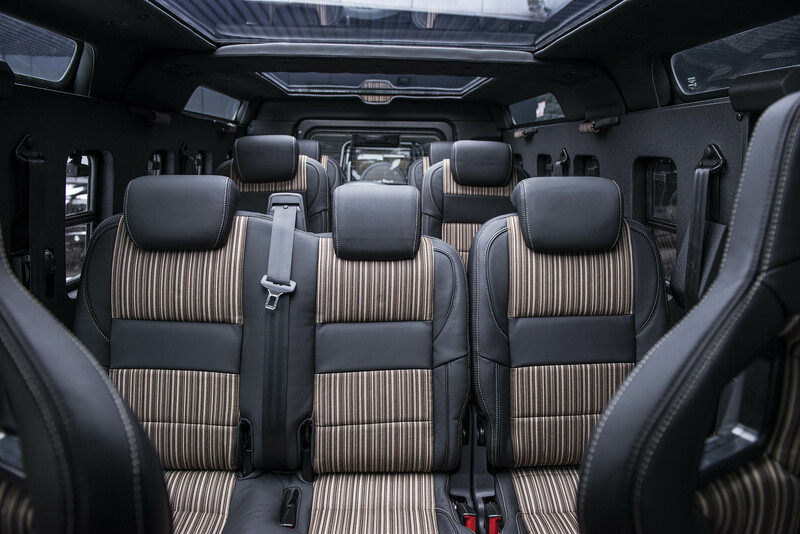 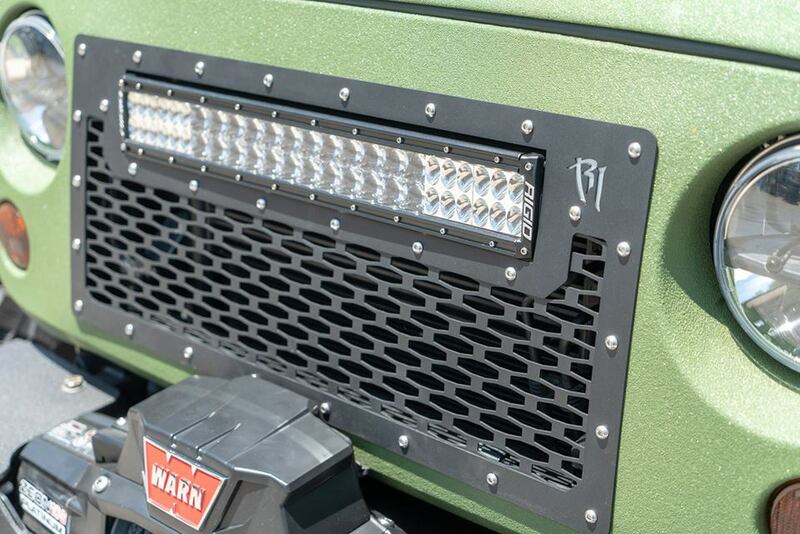 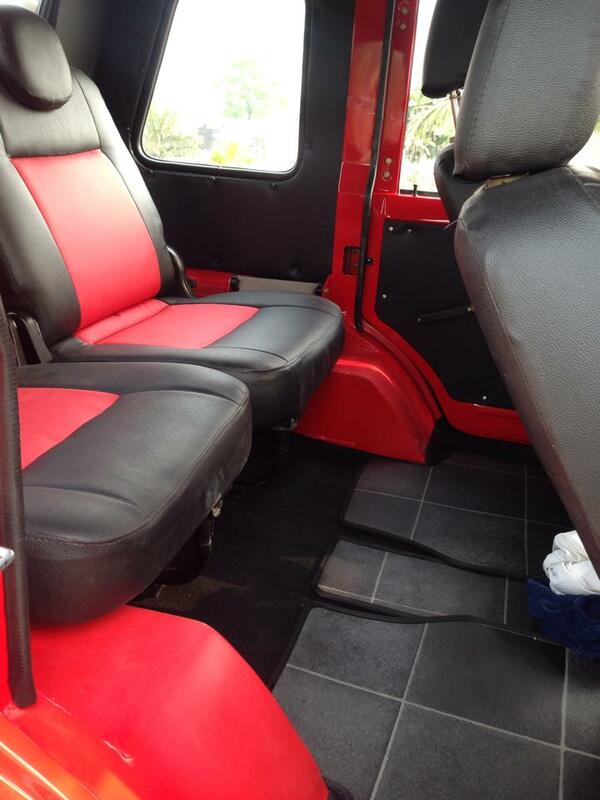 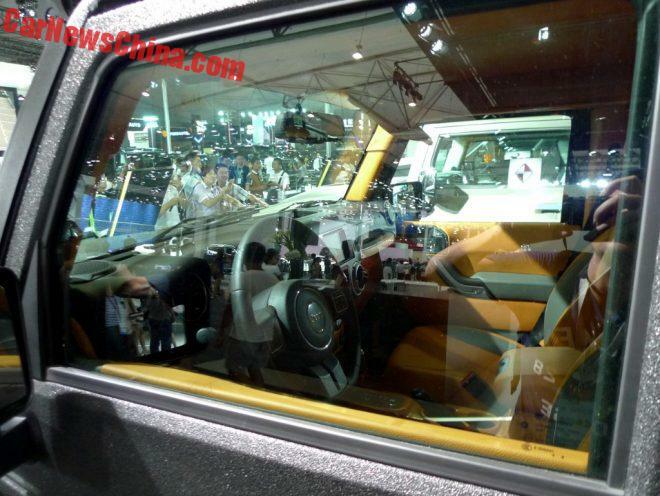 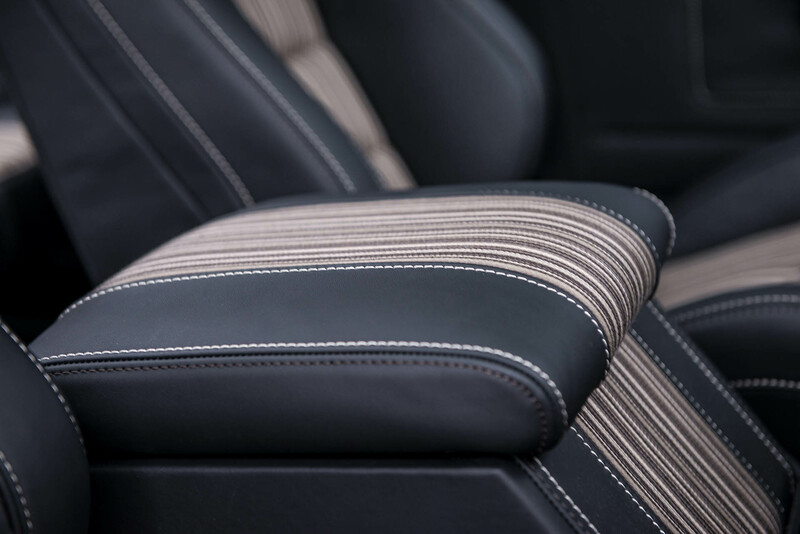 The Wrangler has been cut behind the C-pillar and added a pickup bed, on which they put a hardtop. 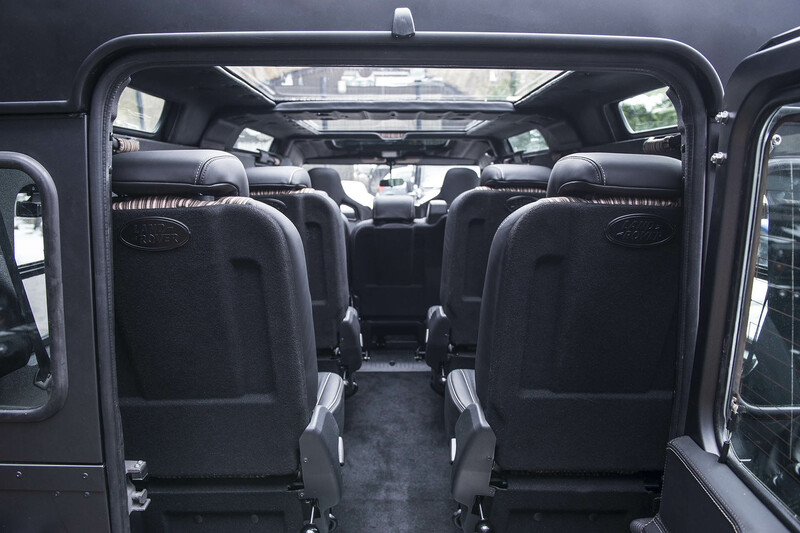 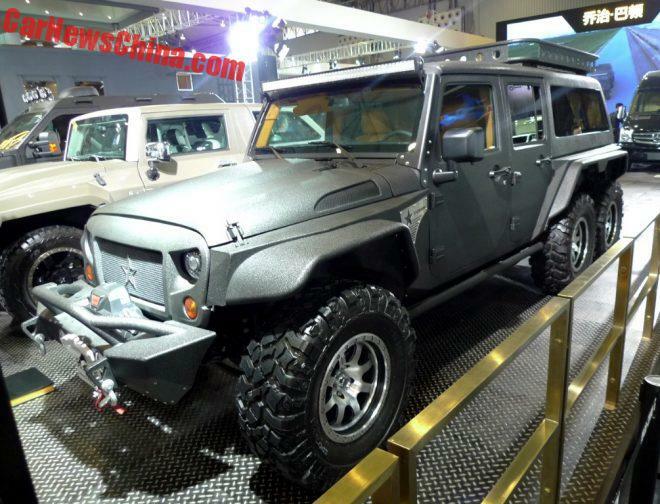 The engine is the Jeep 3.6 liter V6 with an added RIPP supercharger, but the output of the engine is unknown. 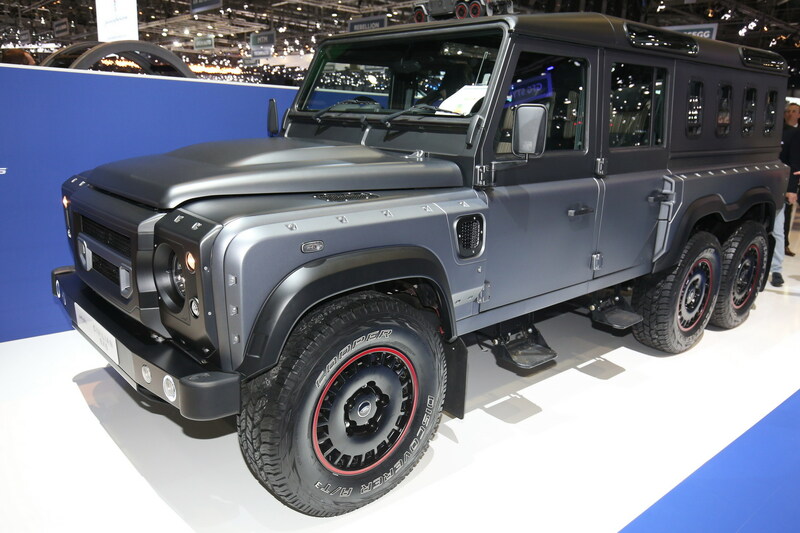 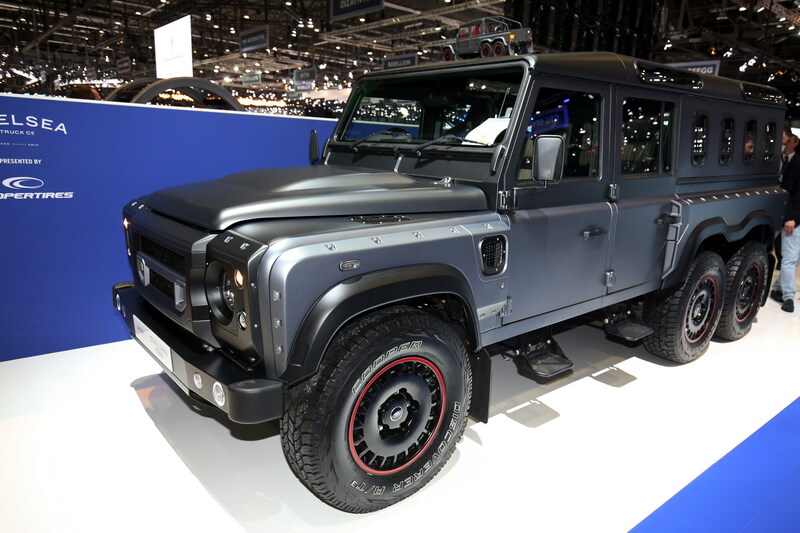 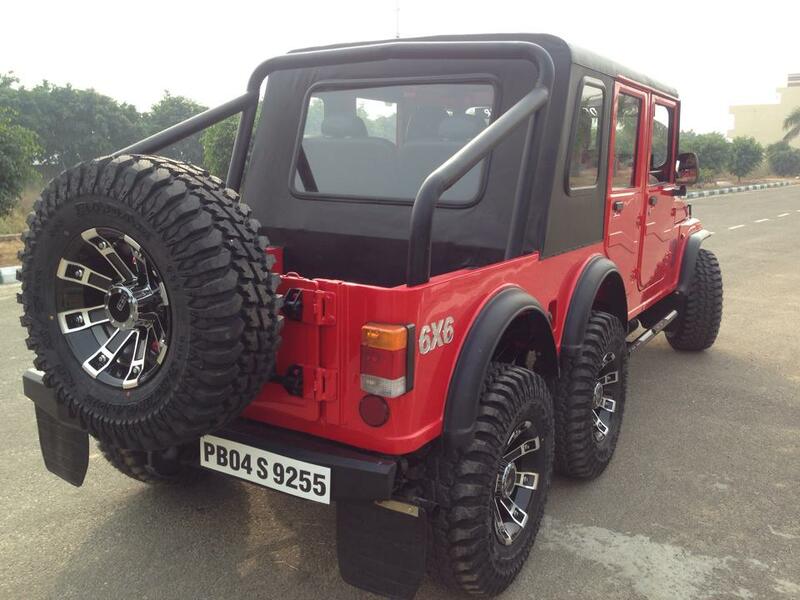 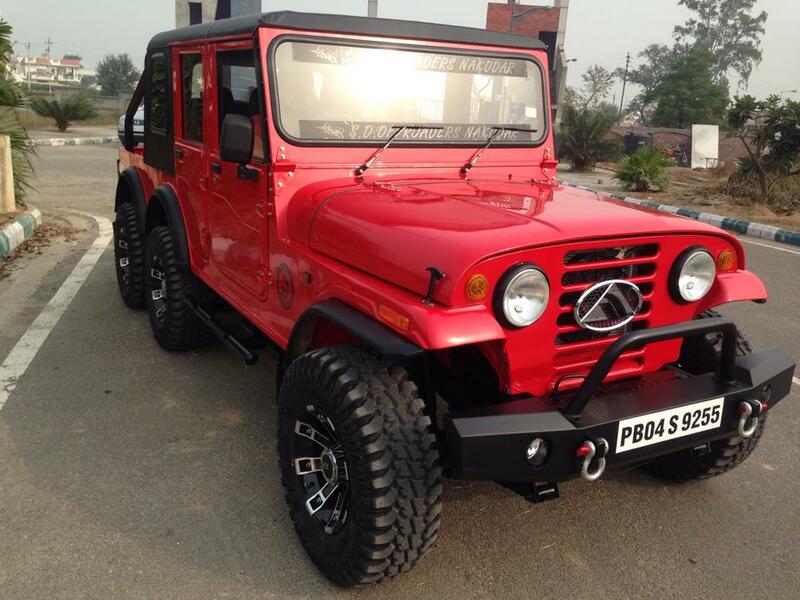 Here one from our own shores a desi 6x6 based on the Thar. 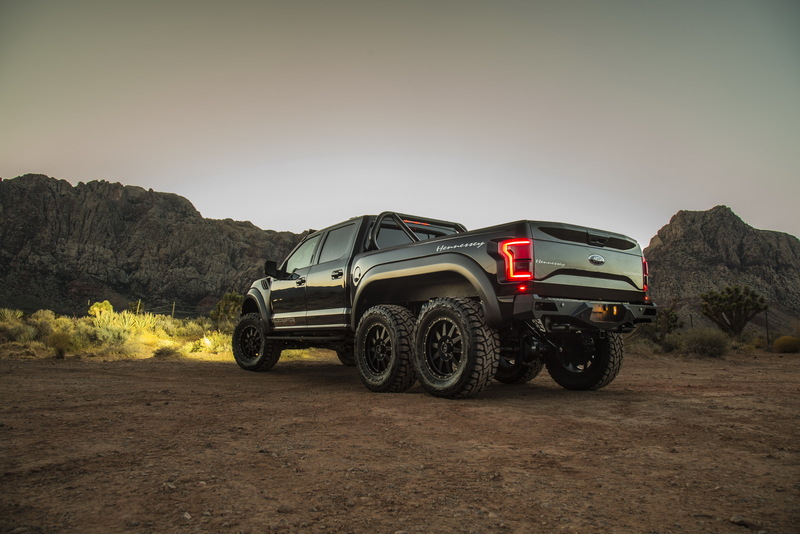 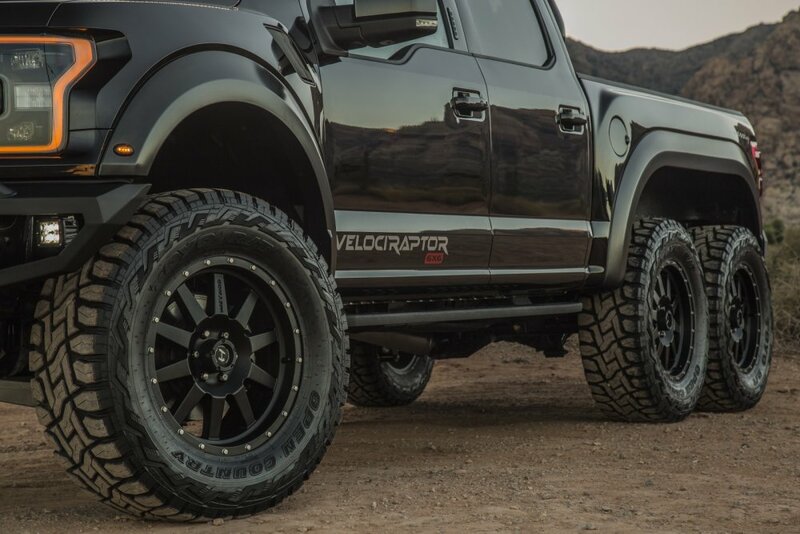 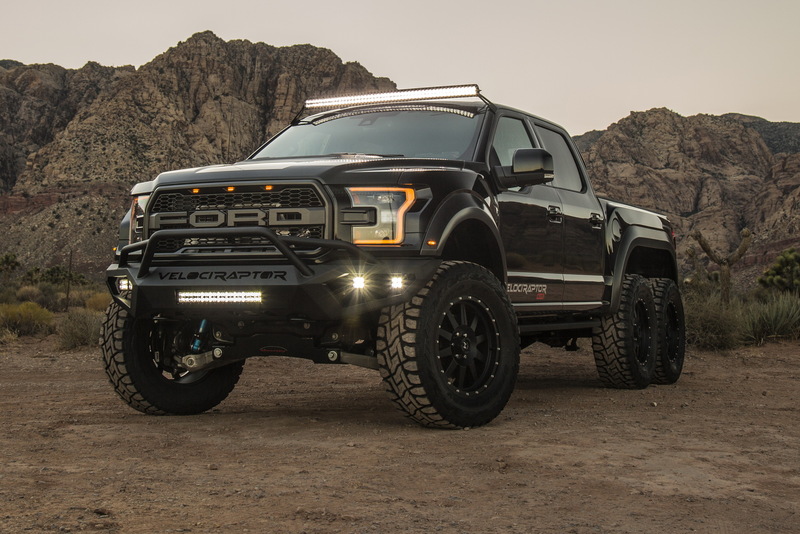 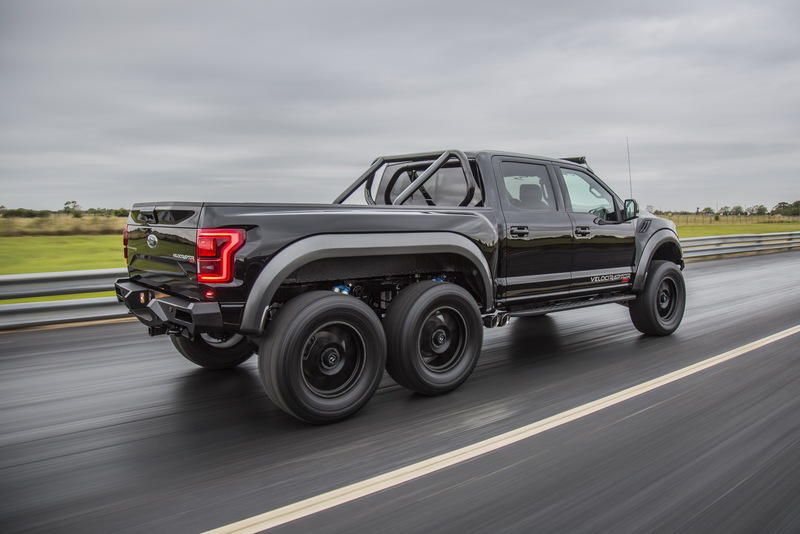 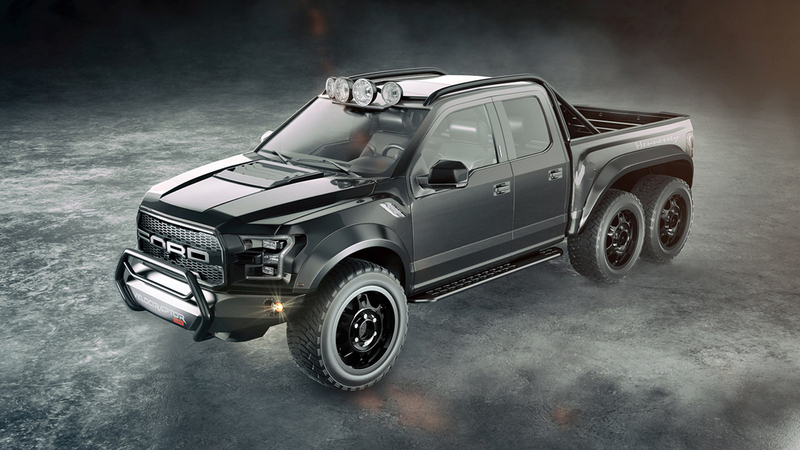 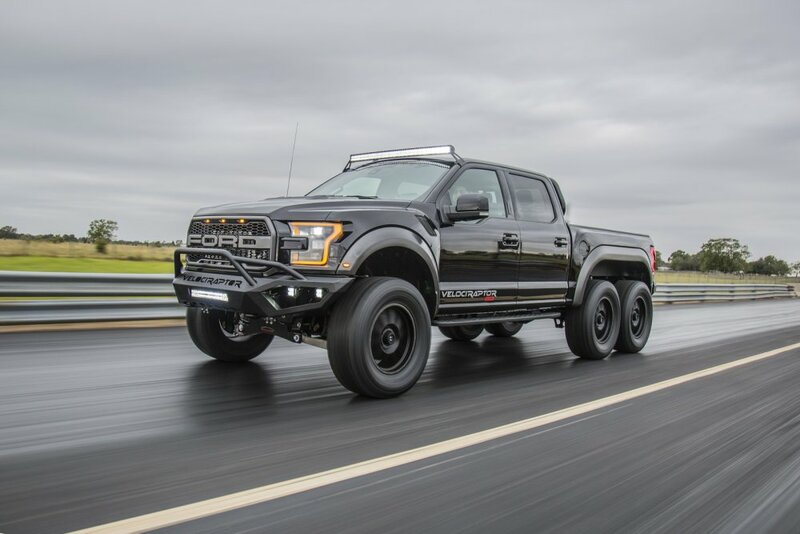 Based on the new Ford F150 Raptor pickup, Hennessy has revealed images of this machine caled the Velociraptor 6x6. 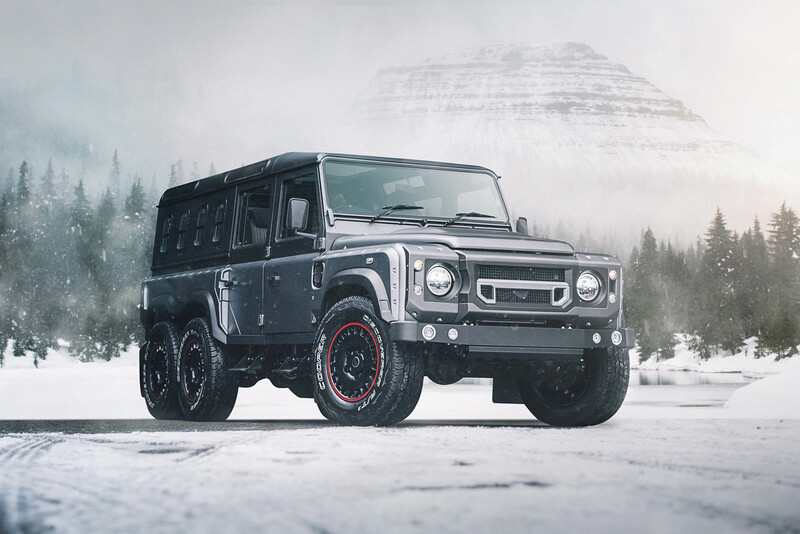 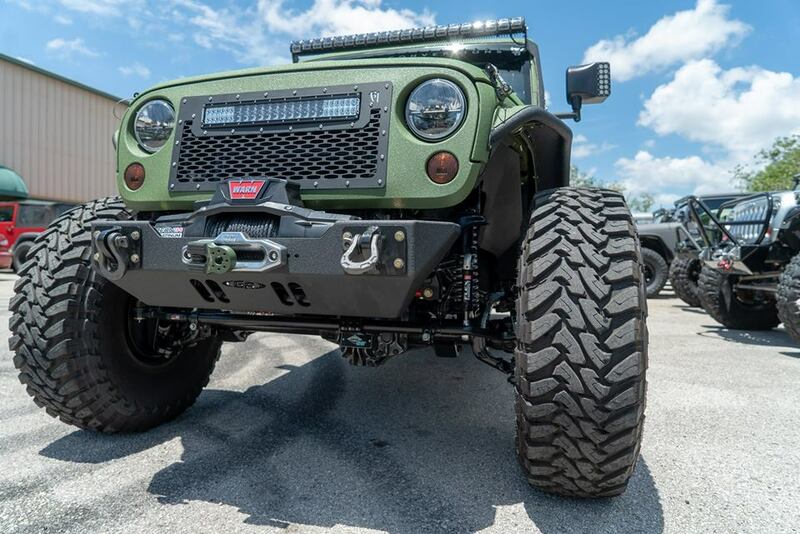 The car comes with upgraded Baja-spec Fox suspension, new 20-inch wheels wrapped in chunky, off-road tires, redesigned front and rear bumpers, as well as numerous LED lights and a new rollbar. 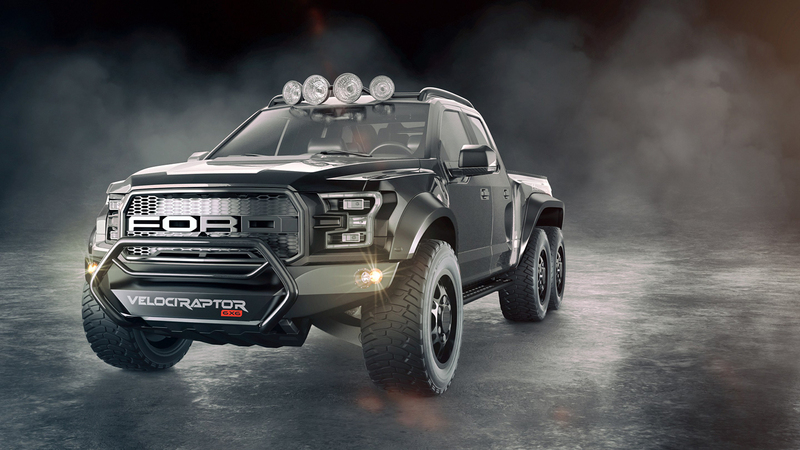 The VelociRaptor 6X6 will be powered by the same 3.5-litre EcoBoost twin-turbo V6 that pumps out 450 hp and 691 Nm torque. 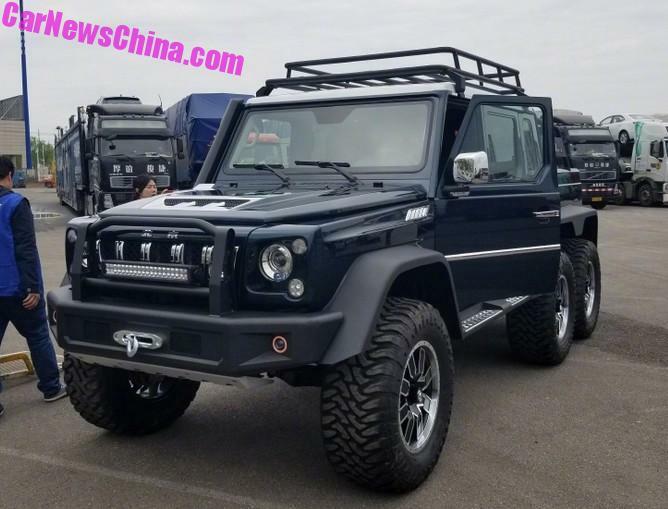 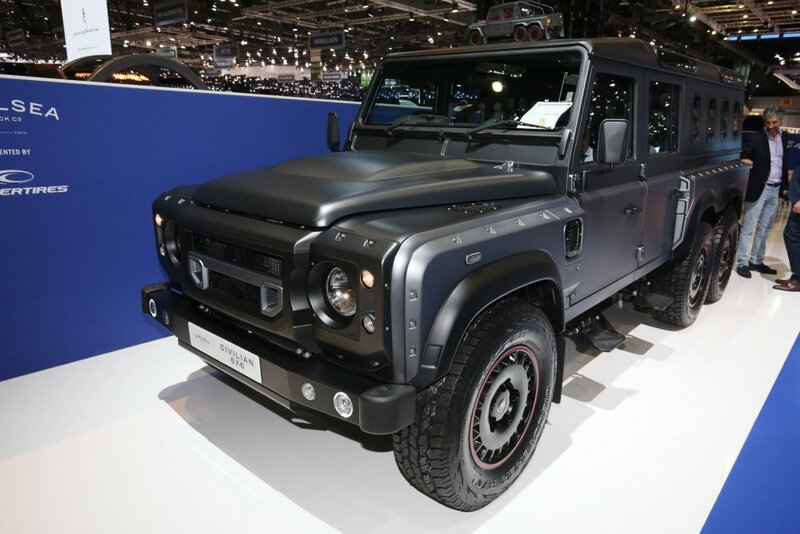 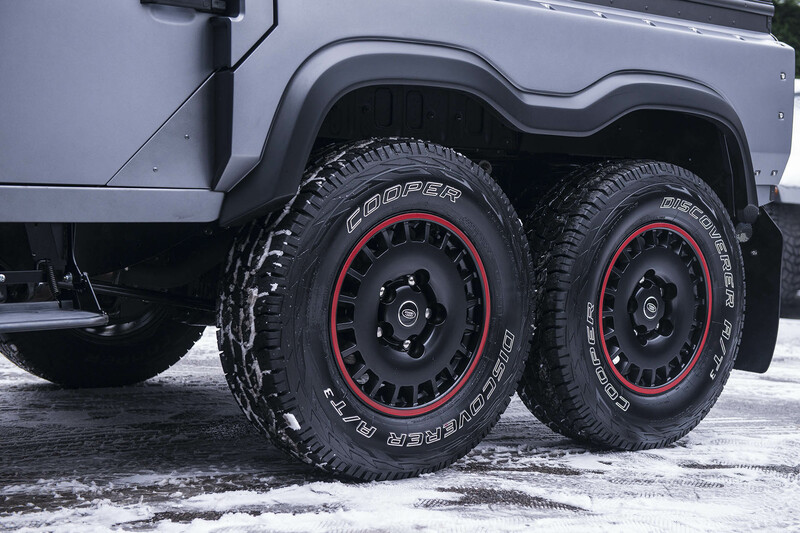 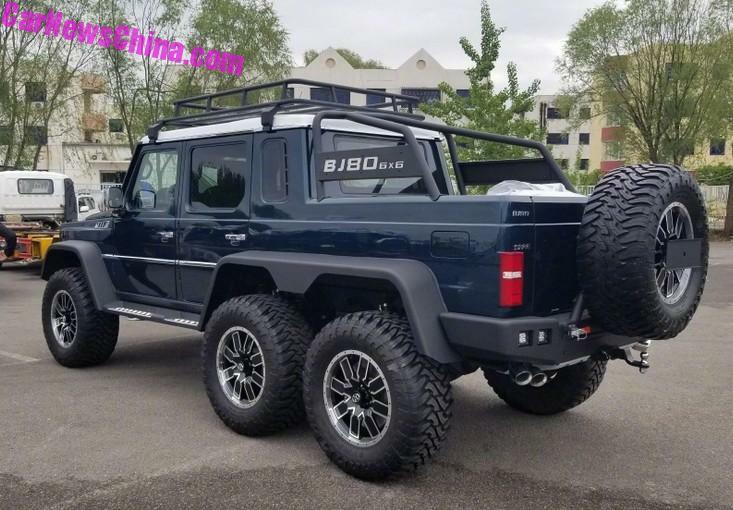 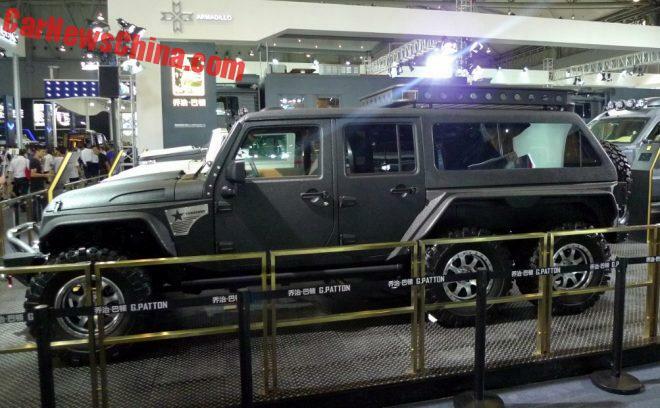 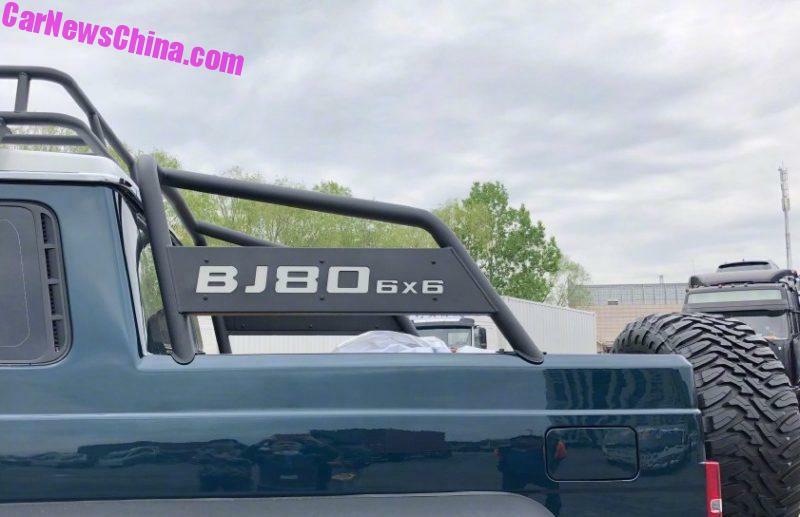 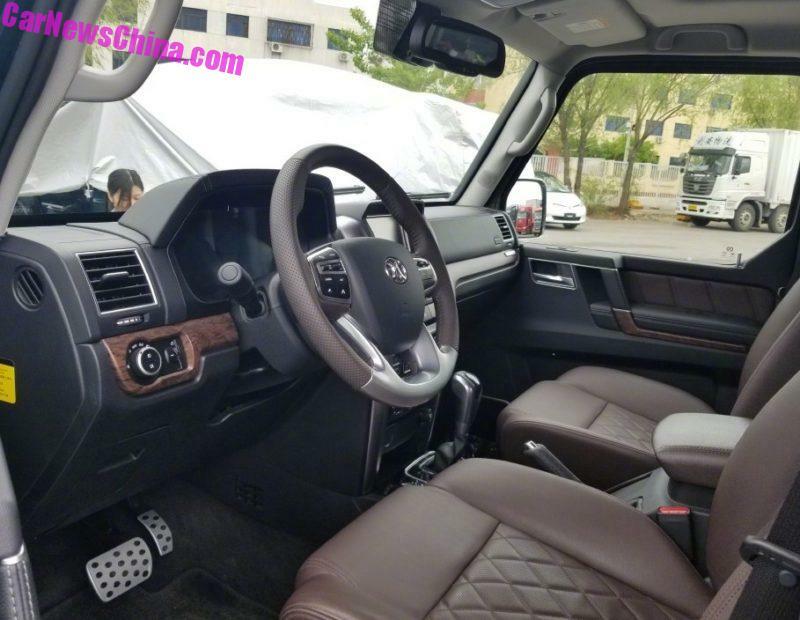 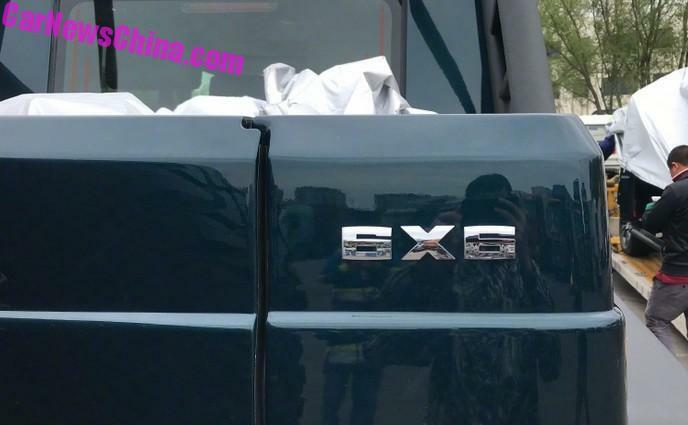 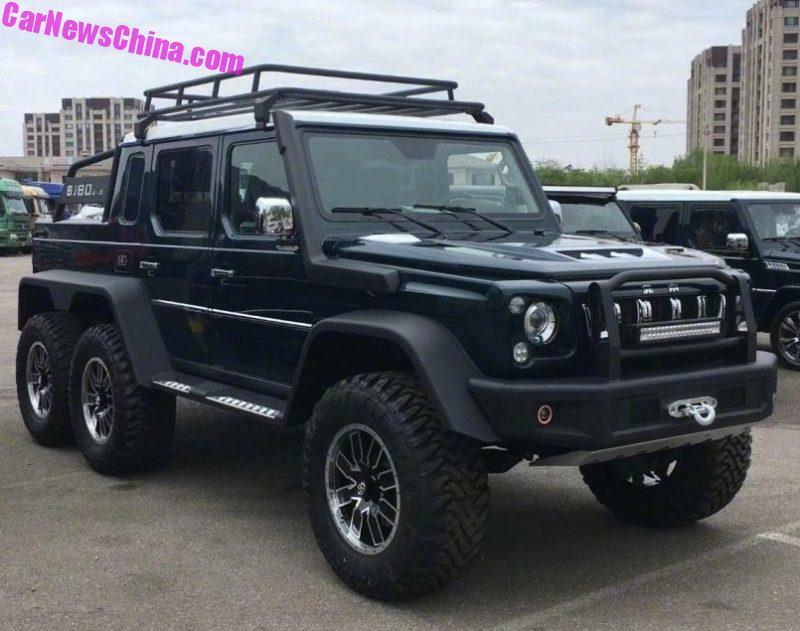 No this isn't the Mercedes-AMG G 63 6x6 This right here is Beijing Auto's new BJ80 6×6 that will make its official debut at the Beijing Auto Show tomorrow! 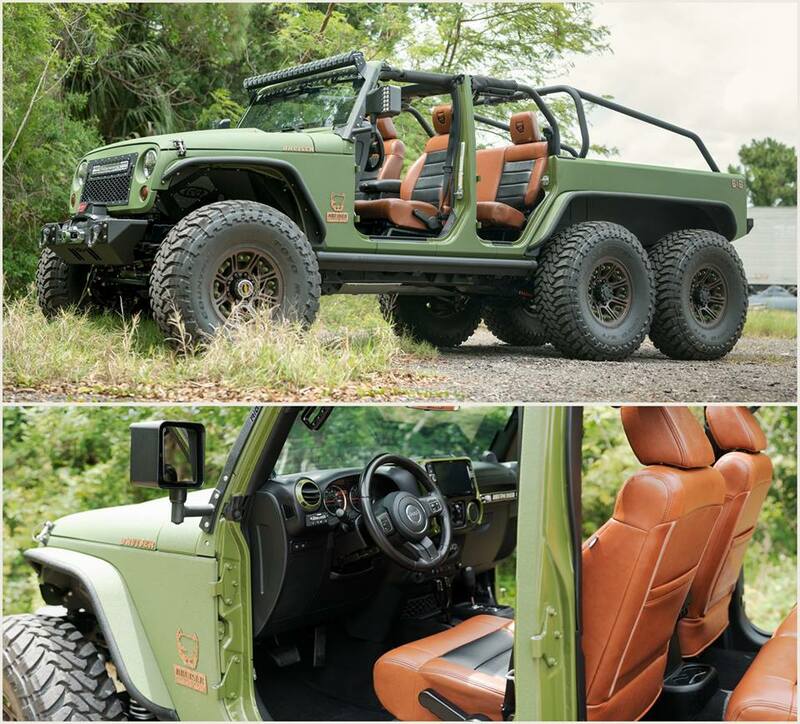 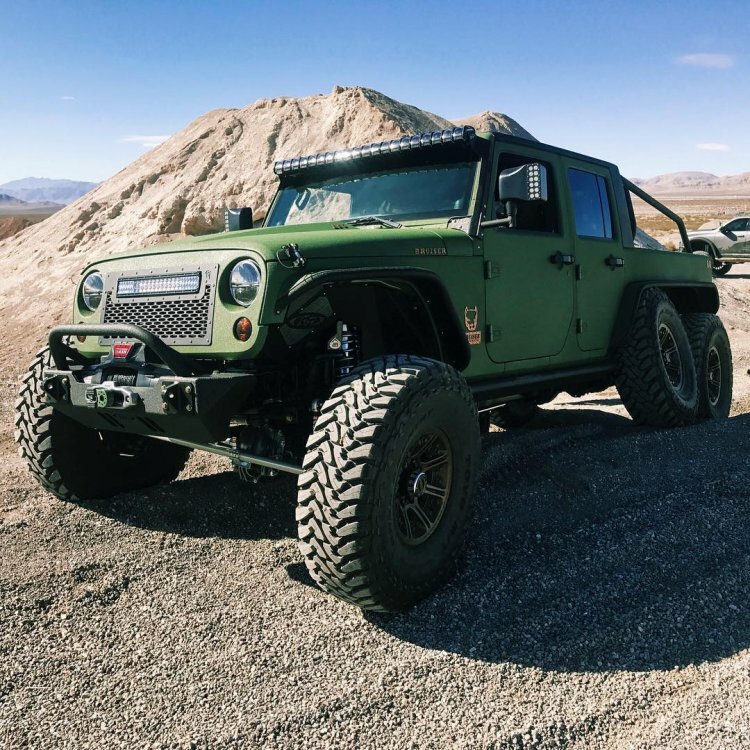 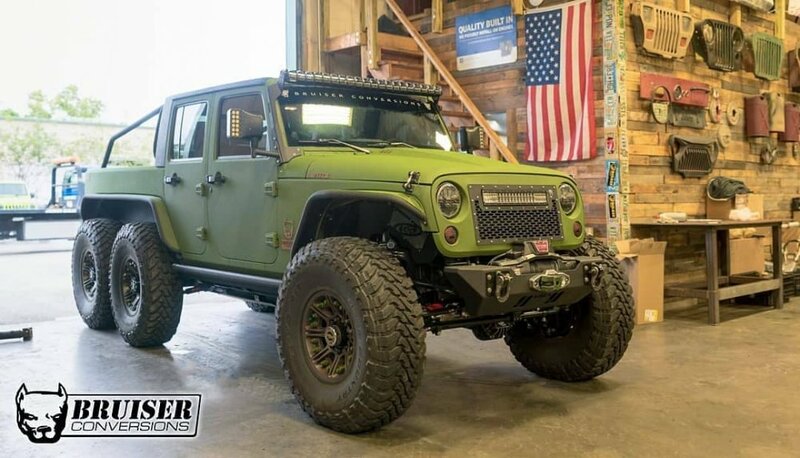 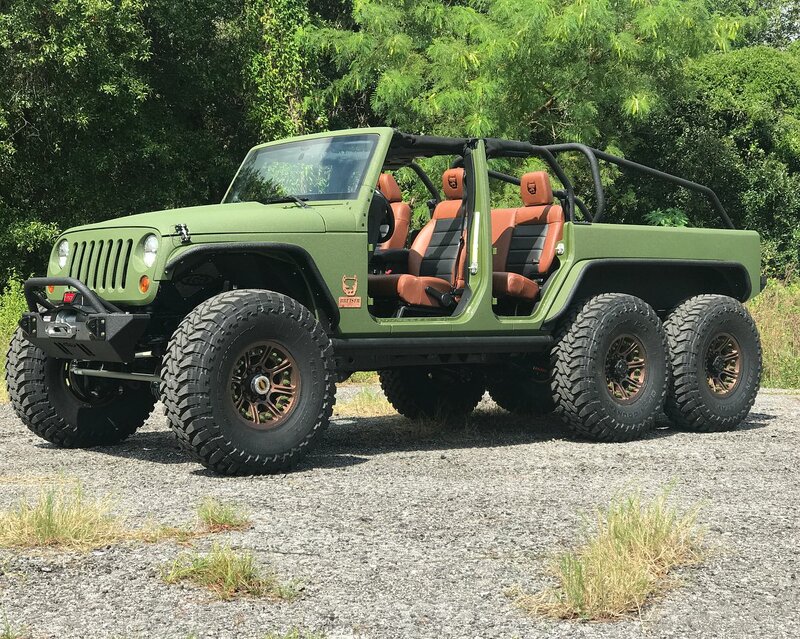 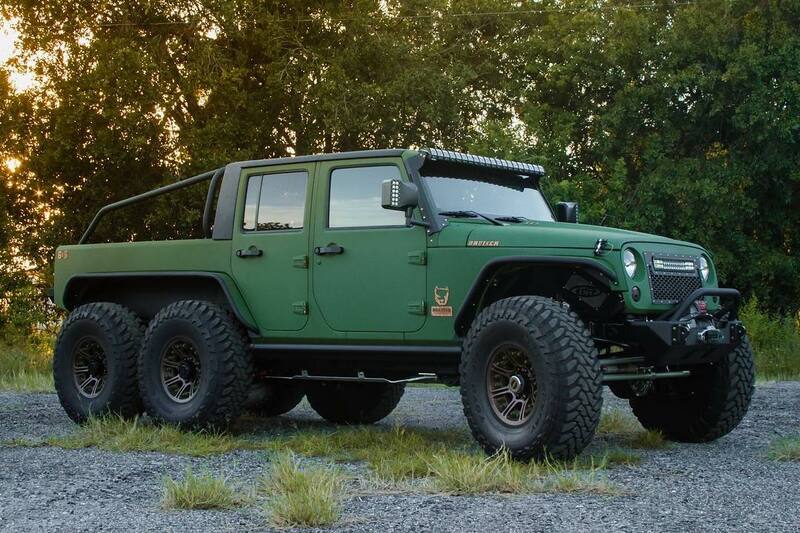 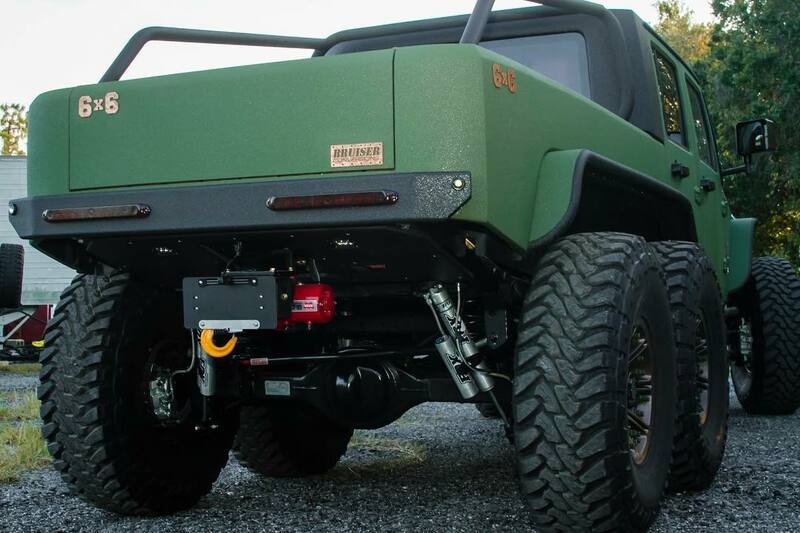 Here's a Jeep Wrangler 6x6 with a matte green finish... modification done by Bruiser Conversion! 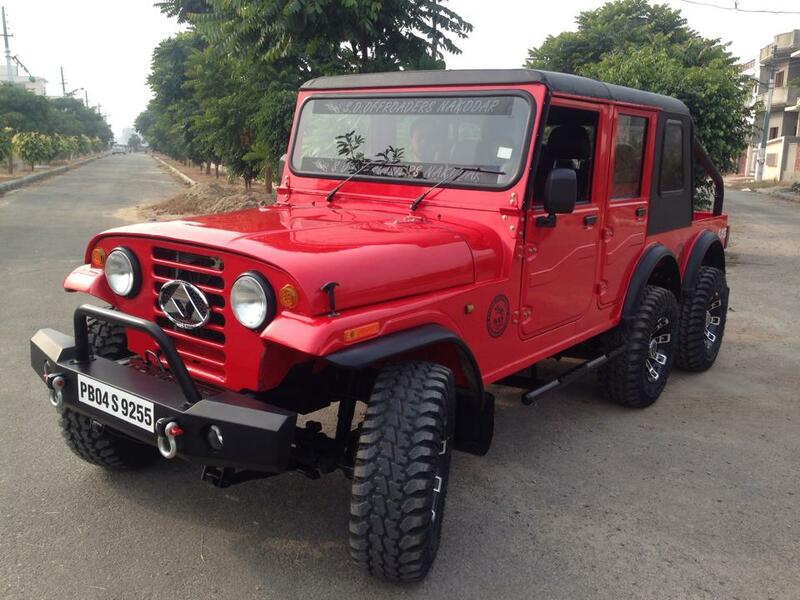 Definitely looks like a stunner, don't you think?